The nonprofit San Diego Bike Coalition is applauding a recent ranking that puts San Diego in a top-10 spot as one of the best U.S. cities for bicycling. 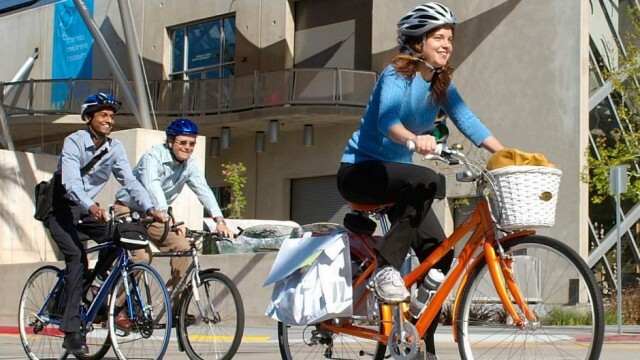 PeopleForBikes recently released its ranking of the best cities for bicycling and San Diego was placed ninth overall behind bike-friendly cities such as Fort Collins, Colorado; Wausau, Wisconsin; and Boulder, Colorado. To determine the rankings, PeopleForBikes says it uses a combination of cyclist feedback, maps and data with five key factors: ridership, safety, network, acceleration and reach. San Diego’s high ranking is reflective of the many efforts made to improve bicycling in the city, according to San Diego Bike Coalition Executive Director Andy Hanshaw. Launched in 1999 as Bikes Belong, PeopleForBikes is a nonprofit organization that acts on behalf of the U.S. bicycle industry, providing a unified front for advocating on a national level.